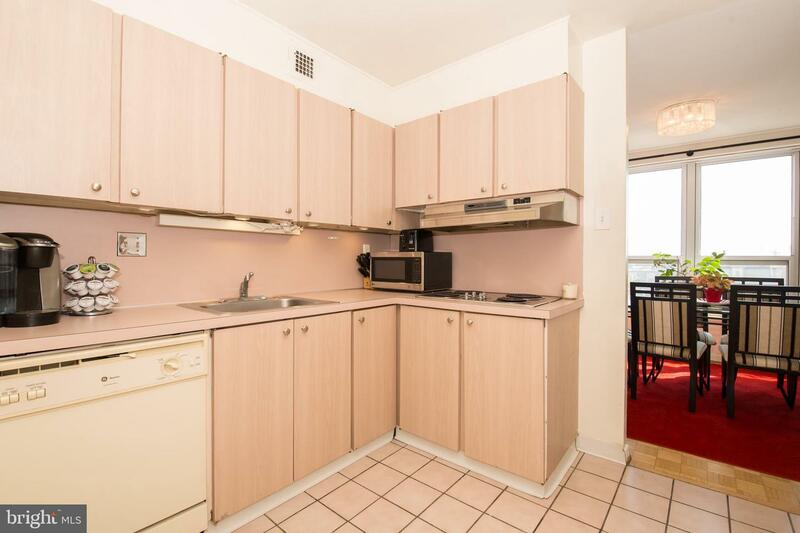 Available for rent July 2019. 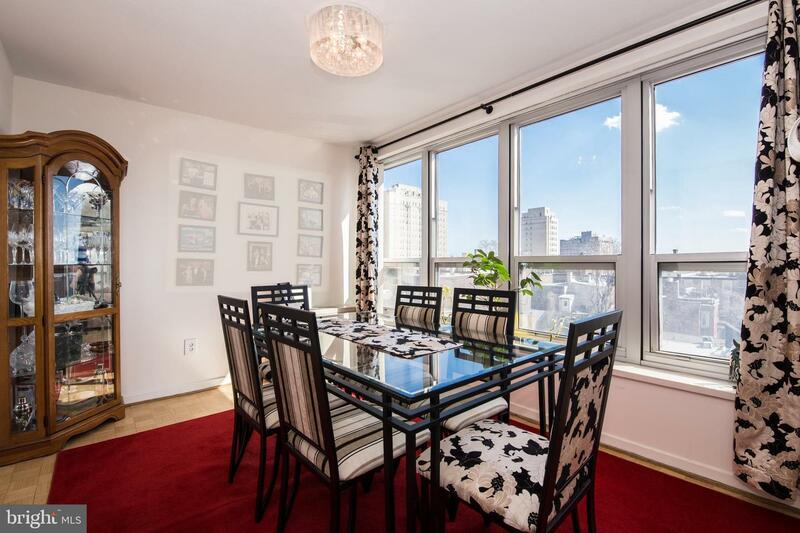 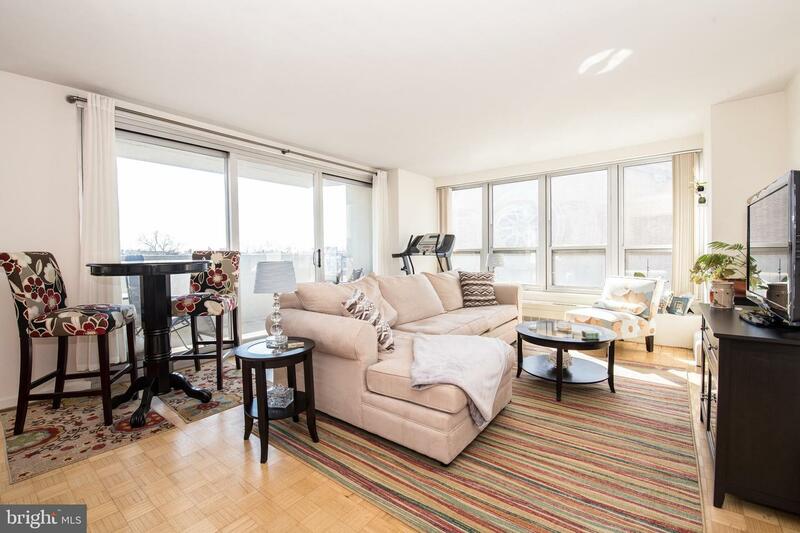 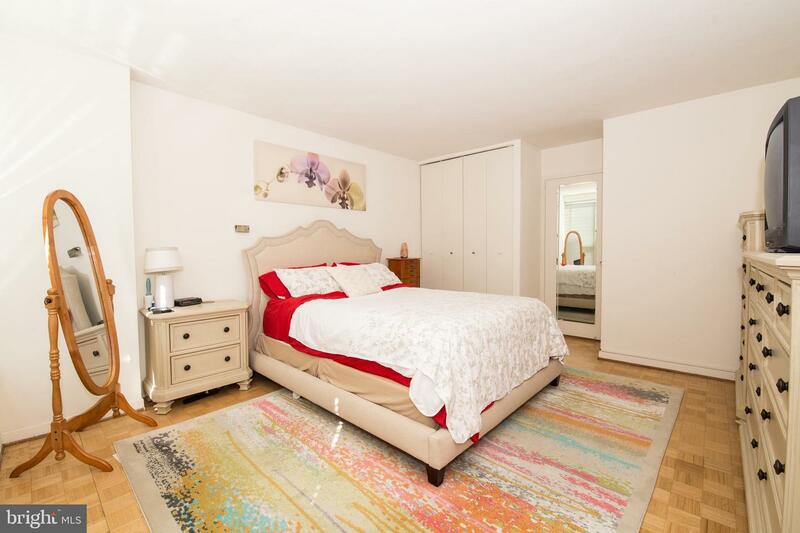 Corner 1 bedroom/ 1 bath with balcony available now at The Dorchester Condominium. 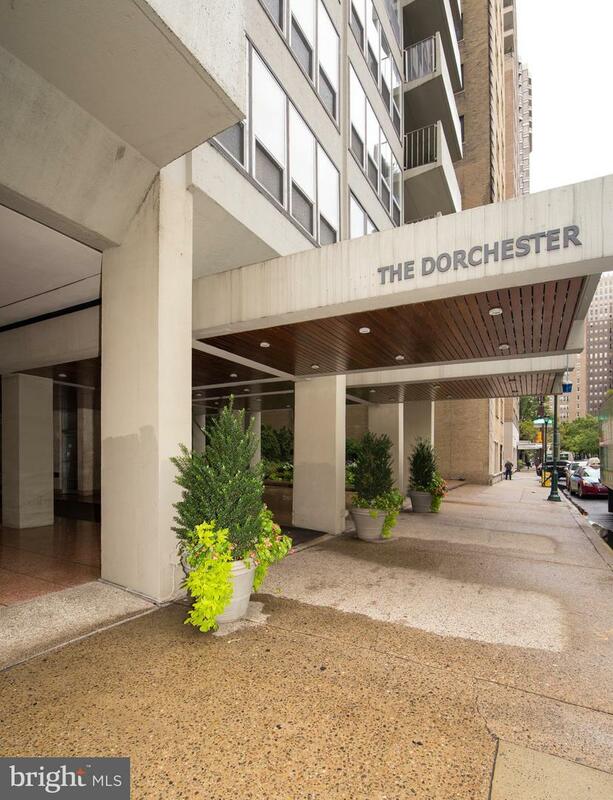 Live right on the square at the Dorchester; a 24-hour doorman condo building that includes a gym, seasonal outdoor pool and garage parking (extra fees). 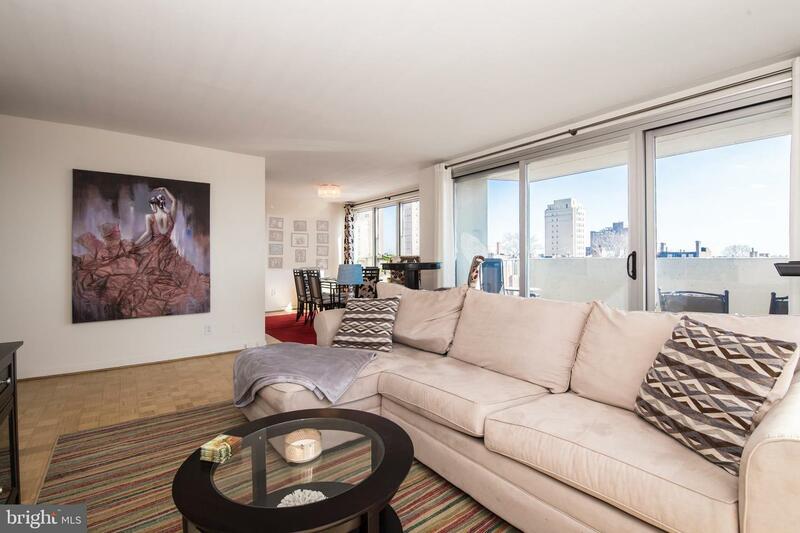 This bright and sunny corner unit has south and west facing views with a great sized private balcony. 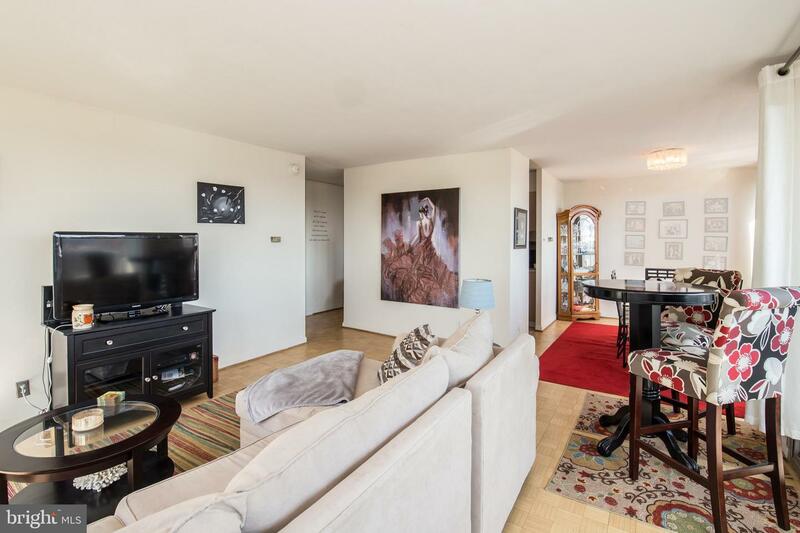 The unit features an open floor plan with hardwood floors, separate dining area, and tons of closet space. 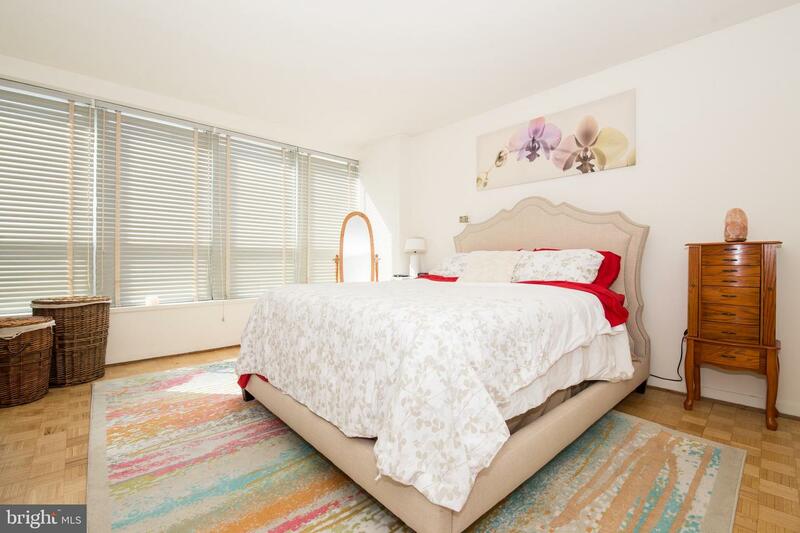 The bedroom is also spacious with great light. 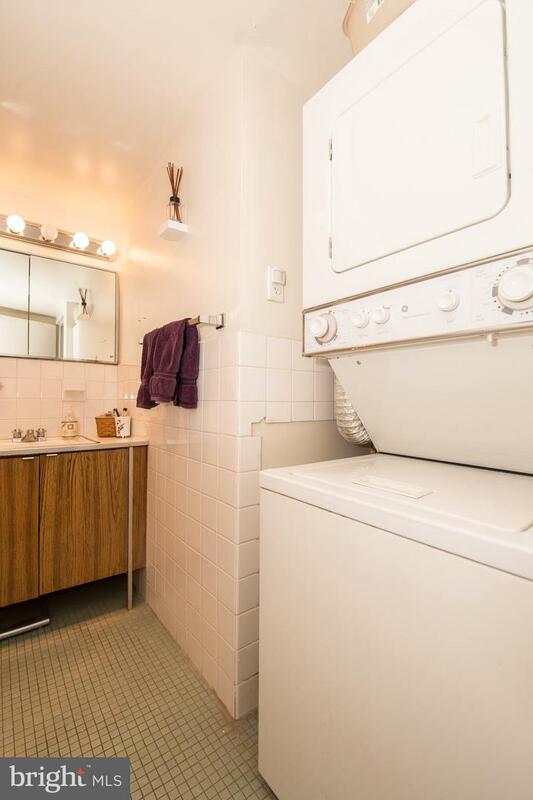 The bathroom has a tub, storage and washer/dryer (not available in most units). 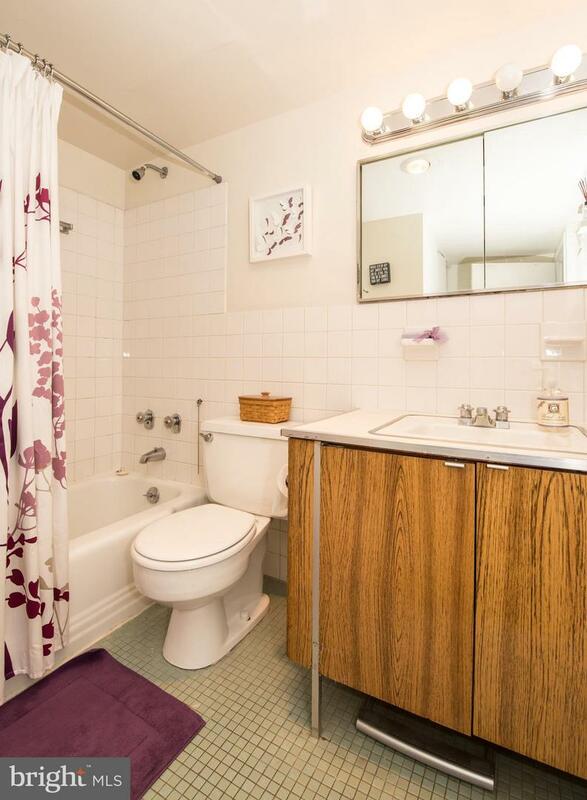 All utilities included in rent and a small extra fee to use the pool. 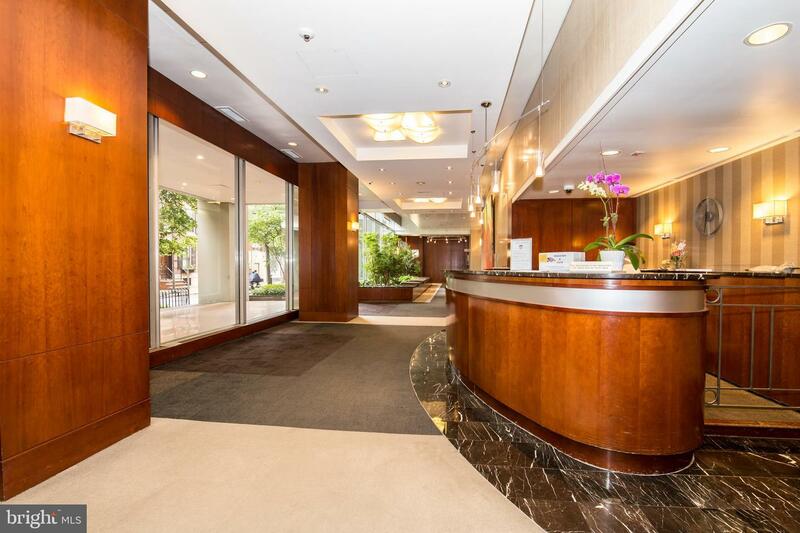 The Dorchester, located ON Rittenhouse Square is within walking distance to the offices of Market Street, the main shopping district, tons of restaurants, parks, museums and public transportation. 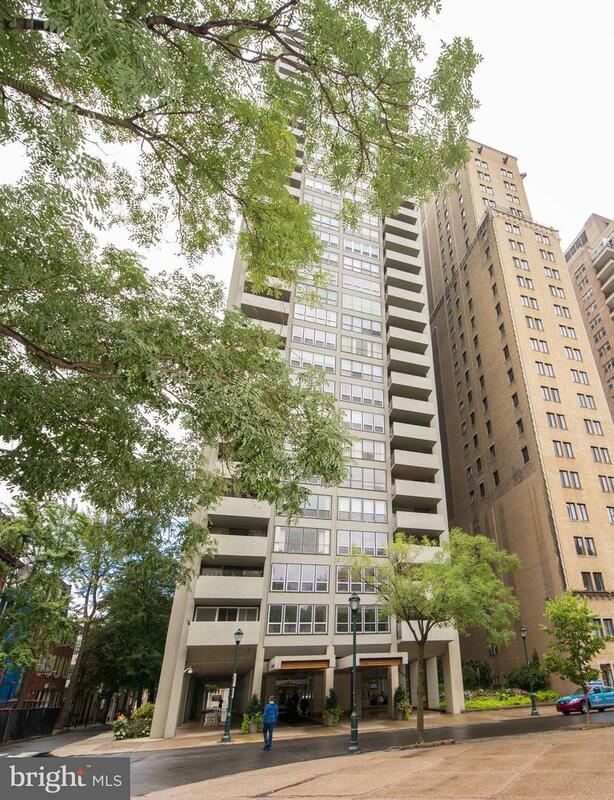 It is one of the most desirable buildings in the city. 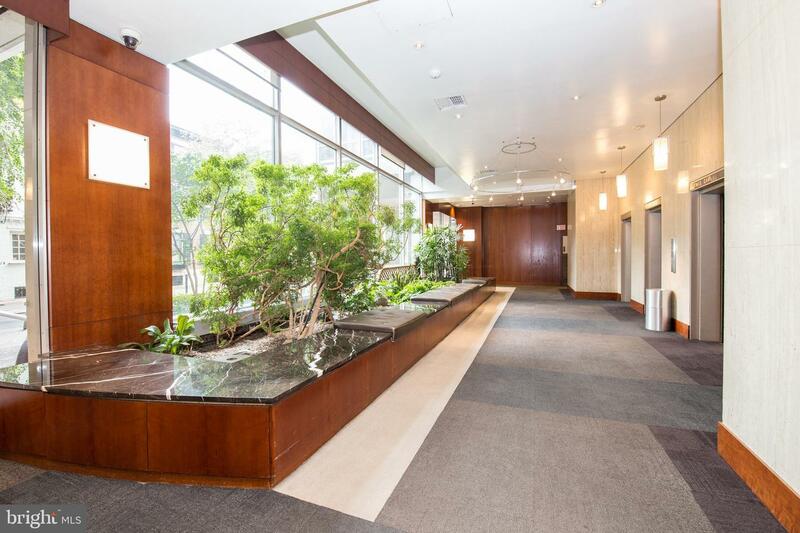 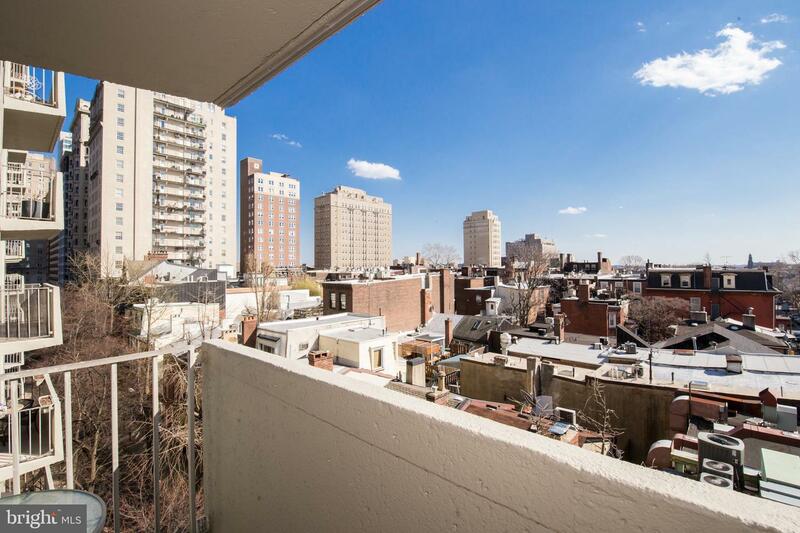 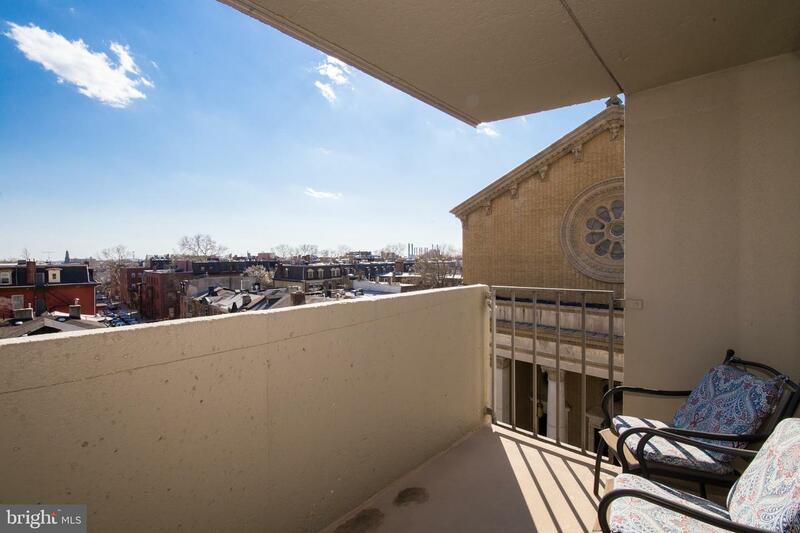 Enjoy low maintenance condo living in the heart of all that Philly has to offer.